Ever since Liverpool sacked Brendan Rodgers after the Merseyside derby in October, buzz has been going around as to who is going to take over the reigns from the Irishman, with the charismatic German Manager, Jurgen Klopp, leading the probability table, and rightly so. 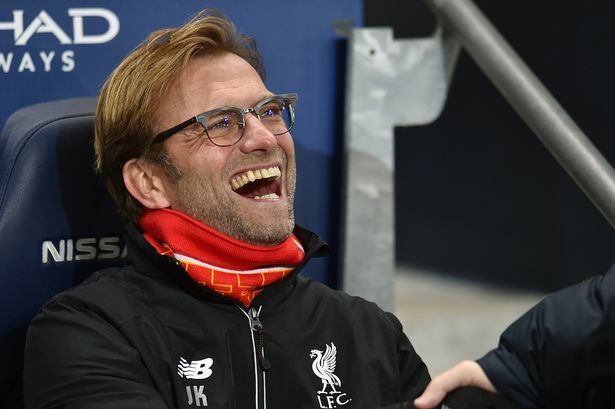 On October 10th, Klopp was announced as the new boss for the Reds, and, heedless to say, expectations were sky high, considering his past credentials. The former Borussia Dortmund manager took his previous team to great heights, and made them into a force to be reckoned with, not only in the Bundesliga, but in Europe as well. Klopp had won two back to back Bundesliga titles, as well as led his team to the finals of the UEFA Champion’s league in 2013, alongside winning the German Cup and DFB Pokal during his reign in charge. He was also named Bundesliga manager of the year for two consecutive years. The Klopp era in Liverpool begun moderately, with three straight draws against Spurs, Rubin Kazan and Southampton, before they faced Chelsea, where they thrashed them 3-1 away. This was Klopp’s announcement of his arrival to the Premier League. Liverpool continued on their good run, defeating Bournemouth in the Capitol One Cup, before becoming the first English side to defeat Rubin Kazan in Russia. But the best Reds performance under Klopp so far was yet to come. On Saturday, they arguably faced their toughest Premier League fixture so far, when they took on the league leaders Manchester City at the Etihad, a fixture where they have had little success in recent years. But what Liverpool produced on that night was nothing short of magical. The Merseysiders begun positively, pressing high for the ball and putting the City defence under early pressure. The pressure paid off early, when Mangala tried to intercept in a Firmino pass, but could not control the ball and sent it into his own net.This was just the start that Liverpool wanted to instill self belief and confidence, and, from there onwards, no looking back. In the 22nd minute, Coutinho put the ball in the back of the net, courtesy a cross from Roberto Firmino. Approximately 8 minutes later, the Brazilian duo struck again, but this time Coutinho was the assistant, and Firmino, the goal scorer. Though City did pull one back with a sumptuous strike from Aguero, right before half time, it was nothing but a mere consolation, as Skrtel, in the 80th minute, delivered a blistering volley in to the net, to round off a clinical 4-1 victory for the Reds. After this performance, it is safe to say that Klopp has lived up to every ounce of the hype and expectation that surrounded him. The same side, which, in the first 8 games of the season had managed just 8 goals, has now scored 9 in half the number of games. Darkest before the dawn? Analysis of Chelsea’s performance so far, and what the future holds for the Blues.